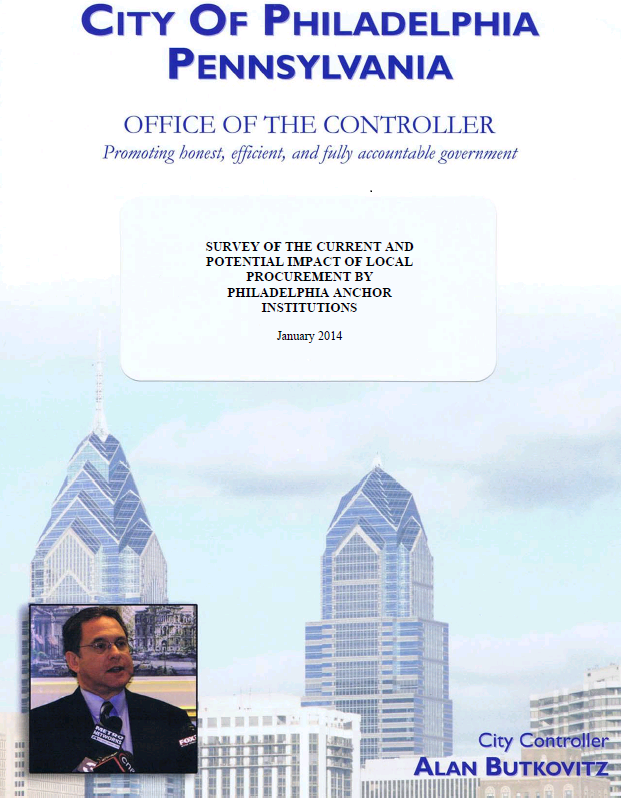 City Controller Alan Butkotvitz recently commissioned a citywide survey, which found that Philadelphia’s “eds and meds” spend over $5 billion annually on good and services. This finding has prompted Butkotvitz to explore opportunities for how local anchor institutions can boost local employment by shifting 25 percent of their procurement to local vendors. The Democracy Collaborative was pleased to be asked to contribute to the report.